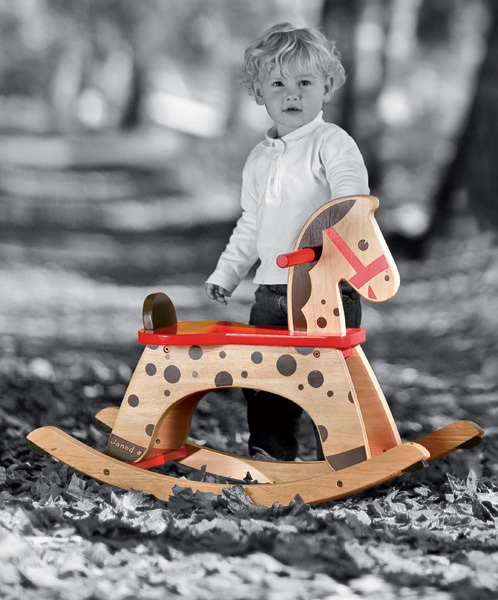 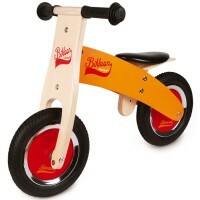 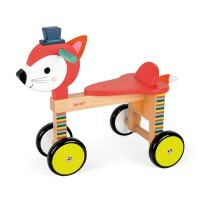 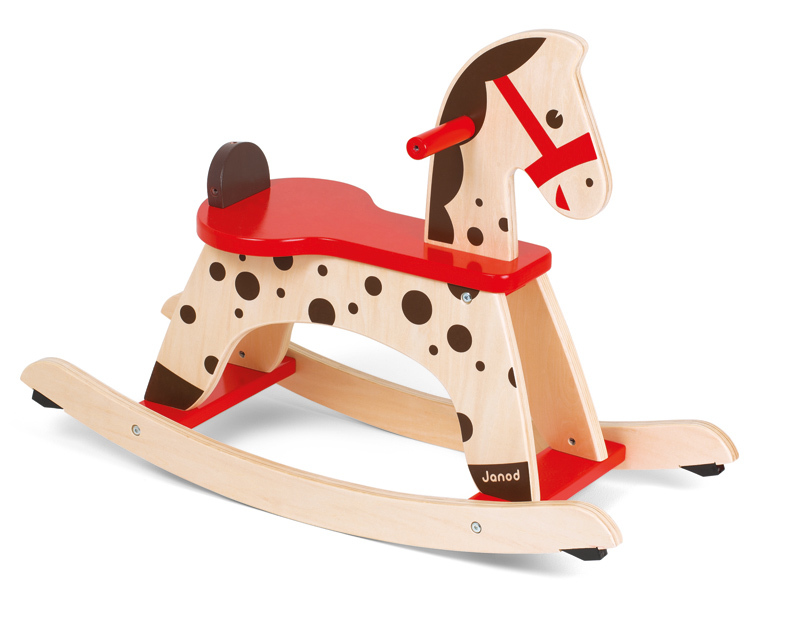 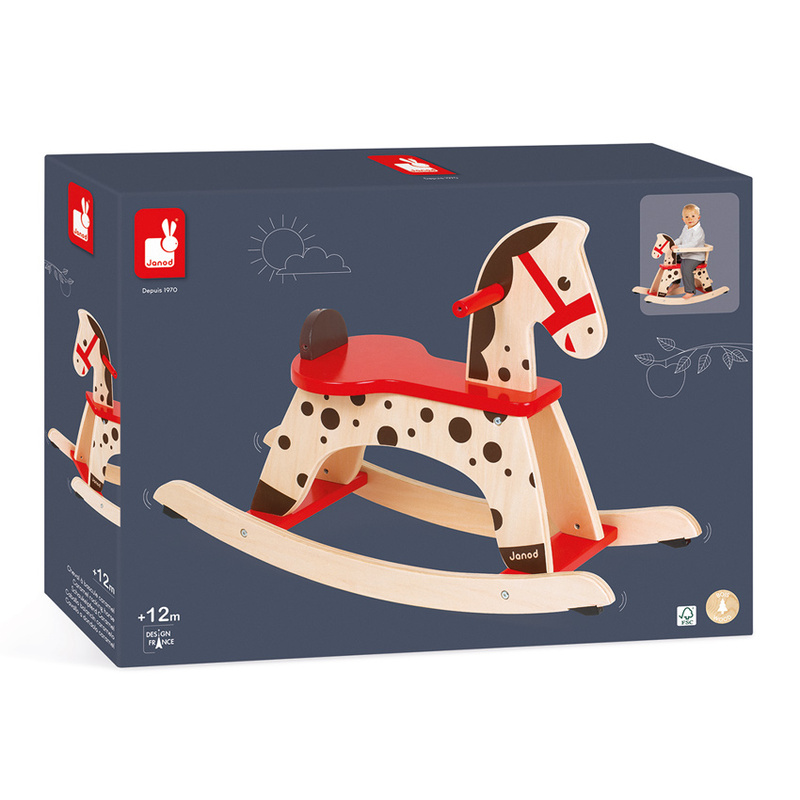 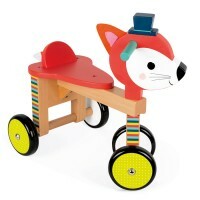 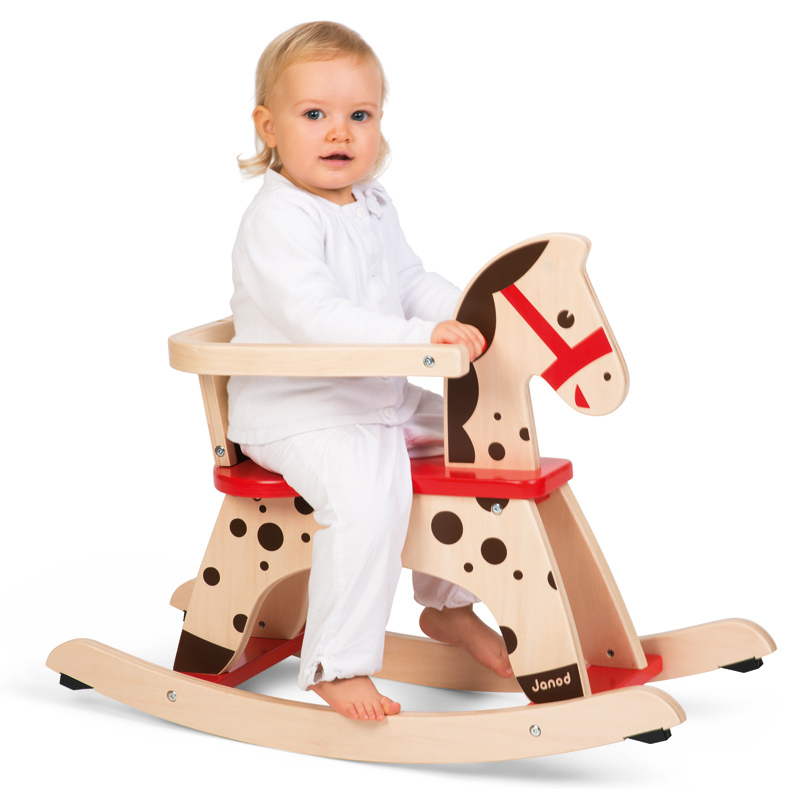 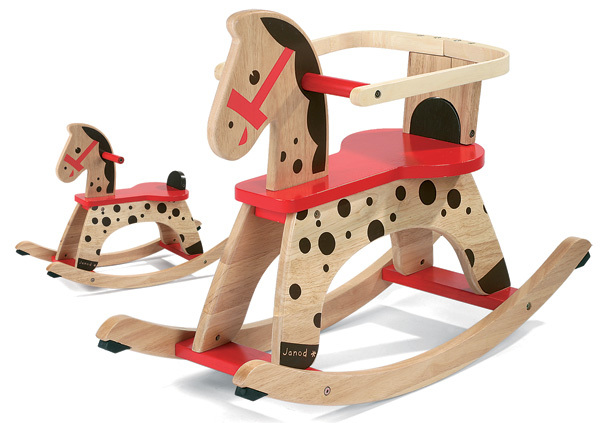 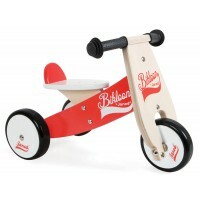 A stylish traditional solid wooden rocking horse with rubbers on the base help prevent over-rocking. 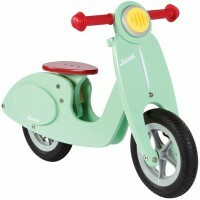 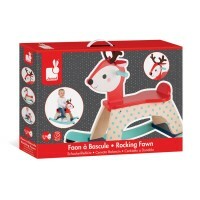 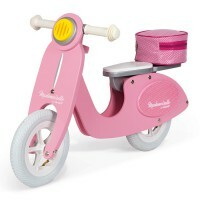 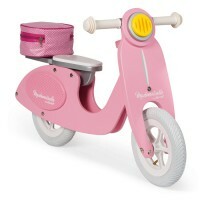 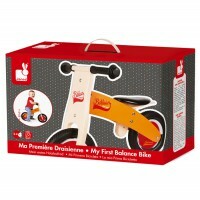 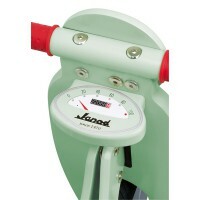 It can be used with or with out protector bars, depending on the age of the child. 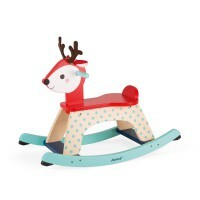 Decorated in muted tones and matches most decors.